If you follow the news about one of the most popular game series - Grand Theft Auto, then you know that the day before yesterday - March 4 - the next GTA Online update, entitled Business Update, was released. It brought new vehicles, weapons and a lot of accessories for the real businessmen, more information about which you can learn from our previous article. But you may still not be aware that Rockstar has decided to celebrate the update’s launch and announced a special GTA 5 event, which will be held this weekend. 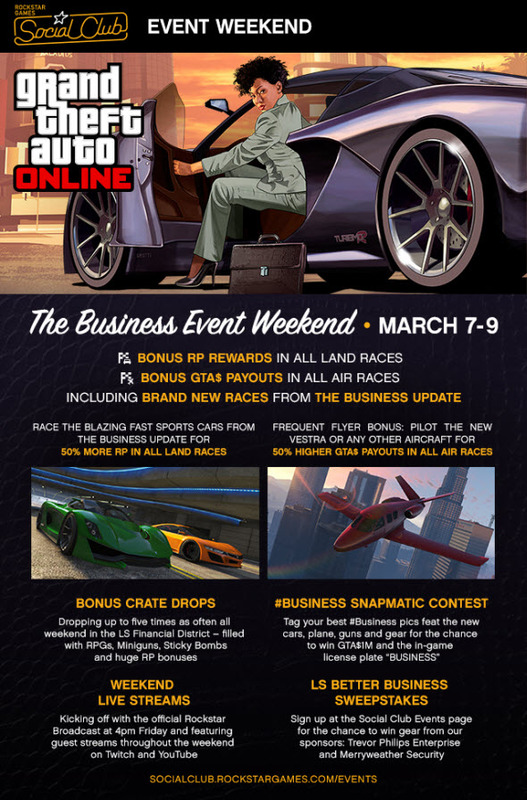 Thus, a new GTA 5 campaign is called Business Event Weekend and will be held from 7 to 9 March. Since it deals with the latest released GTA Online update, it is logical that all bonuses are related to the items from the last one. Thus, you will get 50% more RP in the chases on the new cars from the business update, and the developers promise to give you 50% more in-game currency in all air races. In addition, the new GTA 5 event will offer a pleasant surprise for those who like shooting and blowing up everything around - from time to time the crates full of various weapons and up to 8000 RP inside will fall from the sky, so you will need to be the first who will find it in order to use the boxes’ content. You will also have the opportunity to earn additional in-game currency for the highjacking and the delivery of certain car to the auto dealer Simeon Yetarian, who will send you a message demanding for a particular car brand. But that's not all. As a part of this campaign Rockstar has decided to hold two contests. In the first one you will have to make a funny or peculiar screenshot with some item from GTA Online update on it. 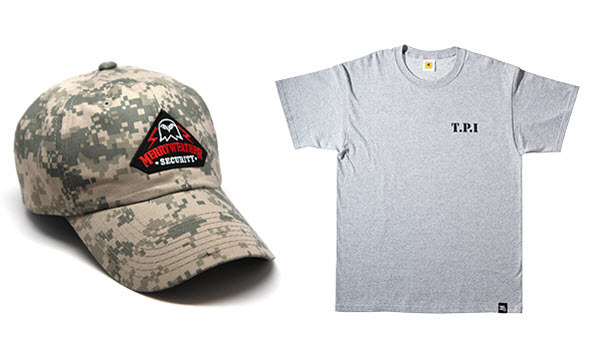 The second contest, the prizes of which are a Trevor Phillips Industries tee and a Merryweather Security camouflage cap, is based on the sweepstakes. More information, as always, are available on the official game’s site. Do you like this GTA 5 event? Are you going to take part in it? Your answers can be left at the bottom of the page.